Reality: The reality is that preventive care can save you money in the long run. During an annual examination your veterinarian will check your dog for subtle signs of illness and also make sure your dog is protected against preventable diseases. For example, it’s far more cost effective to vaccinate your dog against parvovirus than to risk having him be infected by it. Parvovirus can cost hundreds of dollars to treat and preventing this deadly disease can save you that money (not to mention saving you from the pain and stress). In general, it’s not only cheaper to treat diseases early than to wait until they become more advanced, but also better for your dog’s prognosis. By spending money on preventive healthcare upfront, you are more likely to avoid big costs and lots of stress and heartache down the road. Keeping your dog on year-round heartworm preventatives is the best way to protect him from getting this deadly disease. If your pet isn’t on heartworm medication already, speak with your veterinarian today about screening for heartworm disease and starting preventatives. Reality: Even if your dog rarely goes outside, parasites can be brought into your household. Fleas and ticks have been known to hitch a ride on a person. Additionally, most “indoor” dogs also go outside where they can become exposed to parasites. This can happen on a walk around the block, at the park, or even at the groomers. Parasites are more than a nuisance. Parasites are a common and important cause of disease in dogs. Fleas can lead to skin irritation, skin infection, anemia and spread tapeworms. Ticks can carry a number of different diseases like Ehrlichia, Lyme Disease, Rocky Mountain Spotted Fever and more. Intestinal parasites can cause vomiting, diarrhea, malnutrition, weight loss and anemia. Heartworm disease is the scariest. Heartworm disease can be fatal without treatment. Reality: Like us, pets can suffer from dental disease such as broken teeth, gingivitis, and periodontal disease. Left untreated, dental disease can lead to tooth abscesses, and even endocarditis (infection of the heart). Be sure to bring your dog to the veterinarian at least once a year for checkups. During this time your veterinarian will check your dog’s mouth and teeth for signs of disease. If your pet has dental disease, your veterinarian will suggest a dental cleaning to address the issue. 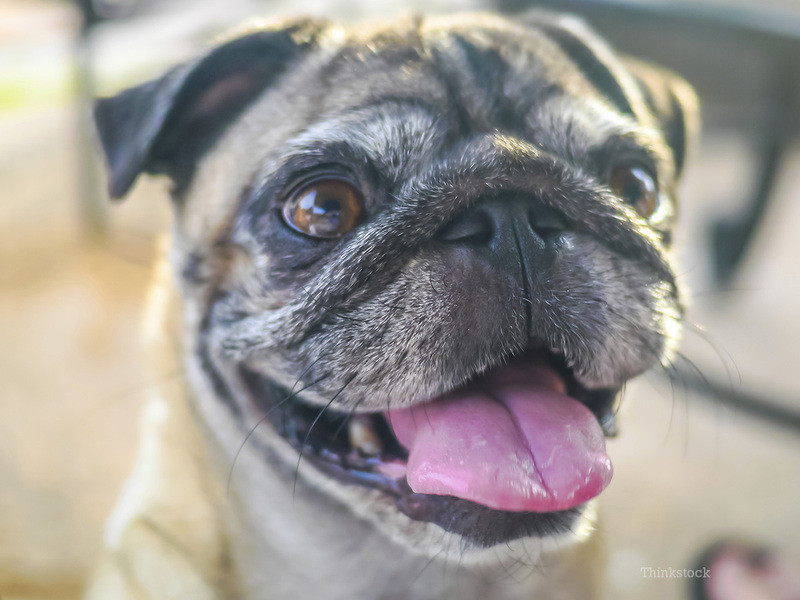 Once your dog’s teeth are clean, routine dental care will maintain oral health and minimize the need for professional dental cleanings. Pets should have their teeth brushed daily using pet-safe toothpaste. While nothing beats regular brushing; oral rinses, dental diets and dental treats can help reduce the bacteria and plaque that lead to tartar formation. No matter what you choose, be consistent and see your veterinarian regularly for checkups. Remember, early diagnosis and treatment are the best defenses against serious dental disease. Reality: While most people realize the importance of vaccines, many have the misconception that a single shot is enough to give their dog lifelong immunity. The truth is that most vaccines need “booster” shots in order to be effective. This is especially true with puppies. According to the AAHA Canine Vaccination Guidelines, “puppies should be vaccinated every 3-4 weeks between the ages of 6 and 16 weeks (e.g., at 6, 10 and 14 weeks or 8, 12 and 16 weeks).” Don’t make the mistake of assuming your dog is protected just because they were vaccinated as puppies. Ask your veterinarian to find out if your dog needs to be vaccinated. Your veterinarian will make recommendations based on your pet’s vaccine history, age, lifestyle and risk factors and will determine how often they need booster shots.